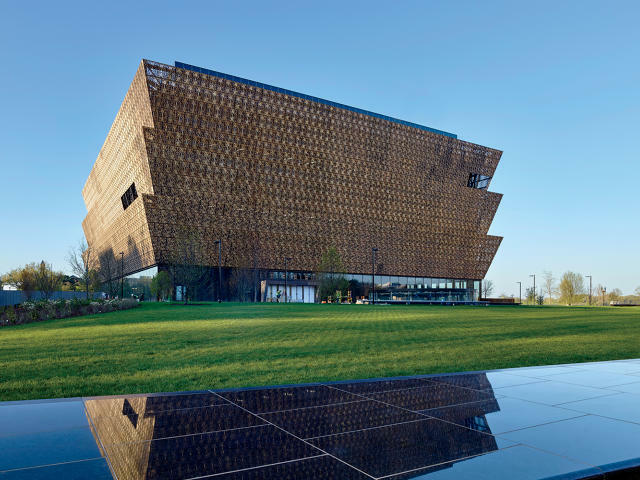 Smithsonian National Museum of African American History and Culture – christopher consultants, ltd.
christopher provided surveying services to Clark Construction Group, LLC, for this new Smithsonian Museum located on the Washington DC National Mall. The National Museum of African American History and Culture represents powerful moments in African American history, culture and community. christopher provided survey support for the construction of the museum. Work has included setting control monuments, monitoring baseline readings and monthly monitoring reports. Project efforts have also included establishing vertical benchmarks; building horizontal and vertical control; and the staking of underground utilities and exterior hardscape layout. christopher also performed monthly and weekly monitoring of the adjacent buildings and the Washington Monument.